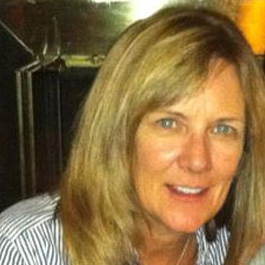 Layne is an Instructional Technology Coordinator at Garden City Public Schools. Follow her on Twitter @schiffell. 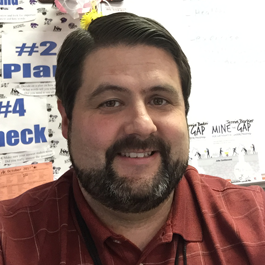 Matt is a 3rd and 4th grade math, social studies and writing teacher at Jennie Barker Elementary School. Garden City School District wanted to provide students with a 21st century learning experience and reduce paper use. When the district’s math curriculum presented some challenges to these goals, Garden City and Showbie worked together to find a solution. Garden City School District, located in western Kansas, is a very diverse district with a large English Language Learner population. More than 35 languages or dialects are spoken in the district’s schools, and as an agricultural community, it’s not unusual for the student population to change throughout the school year. Serving a transient student population comes with challenges. However, Garden City is steadfastly committed to providing a high-quality education, which today means helping students develop 21st century skills through integrated technology in the classroom. The vision to increase technology access for Garden City students started when the district built its new high school in 2012. District leadership wanted students to have a learning experience that fully prepared them for all aspects of life after graduation. Since technology skills are a key component of college and career readiness, the district decided to implement a 1:1 model for the high school. The district also chose to fund the 1:1 initiative (by purchasing iPads) instead of implementing a Bring Your Own Device (BYOD) model. Since Garden City serves a large number of lower-income families, supplying technology was necessary to ensure that students had access to excellent devices. As the 1:1 iPad model proved successful at the high school, the district worked toward expanding technology access for younger grades as well. Today, several classrooms in younger grades are using shared carts of devices and also piloting 1:1 iPad models. As devices became part of everyday instruction in more classrooms, the technology team investigated ways to improve workflow for teachers and students. The district was interested in providing teachers with a classroom management app that was easy to use, required little training, and would help teachers reduce paper use. Since some teachers had already been using Showbie, Layne decided to pilot Showbie in other classrooms to determine if it could help meet these goals. As several pilots were underway, the technology team began meeting with teachers to discuss feedback on Showbie and areas for improvement. It was through one of these meetings that the team discovered how Matt Horney, an elementary school teacher, was using Showbie in a new, unexpected way. The EngageNY math curriculum, also known as Eureka Math, is an open-source curriculum. While this means that the curriculum is available to download for free, hard copies are either ordered from the publisher (for a fee) or printed by a district. Garden City chose to photocopy the curriculum in house, which used a lot of paper. With approximately 5,500 students in Garden City elementary and middle schools, the district was photocopying more than 1,000,000 pages of curriculum each year. 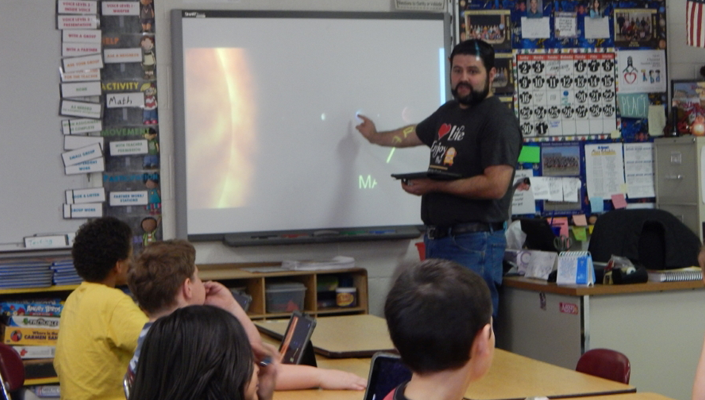 Matt saw a great opportunity when his classroom was selected to do an iPad pilot. By uploading EngageNY into Showbie, not only could he substantially reduce the paper copies he’d need, but his students would also have a chance to learn math on a digital platform. After learning how Matt was using Showbie, the technology team was eager to determine if there was an easier and quicker way to get the EngageNY math curriculum integrated into Showbie. Matt’s process involved downloading the math curriculum files as PDFs, breaking the files apart, and uploading the pages he needed. It was a very labor-intensive process. “Thanks to Matt, we saw great potential here. We knew we just needed to find a quicker way to get the curriculum uploaded. So, we contacted Showbie and they were excited to help,” says Layne. After connecting with Layne, Showbie’s team began uploading the EngageNY math curriculum for Garden City. Once this process began, Showbie decided to go a step further and also upload the EngageNY English Language Arts (ELA) curriculum. Now, a beta version of the EngageNY curriculum upload is live on Showbie. Showbie Basic and Pro users can access EngageNY’s math and ELA curriculum for grades PreK-12 and search by grade, topic, or common core standard. In Garden City, which is testing the math beta version, the response from teachers has been very positive. With approximately 5,500 students in Garden City elementary and middle schools, the district was photocopying more than 1,000,000 pages of curriculum each year. Rebecca Burnfin, a sixth grade teacher, agrees that online access to EngageNY has been good for teachers. It also makes economic sense for the district. In addition to nearly eliminating photocopying of EngageNY materials, the upload is also helping some teachers enhance parent involvement in their child’s school work. Sarah Drubinskiy, a special education teacher, finds that parents like being able to see their child’s schoolwork on Showbie so they can better understand how math learning has changed. Students are also embracing several of Showbie’s features, like assignment notifications, and teachers are finding that Showbie is helping students stay organized and keep on top of due dates. Brian has also found the assignment features in Showbie to be very helpful. Garden City’s phased-in approach to technology integration has been extremely successful. By working with teachers and testing several technology models, the district is continuously identifying how technology can improve instruction, save time, and reduce costs. Over the next few years, as more classrooms move to 1:1 models in the district, Garden City is poised to meet its goal to give all students a learning experience that prepares them for success in college, career, and life.